After a weekend of English women’s sport success, the Rugby Football Union reminds us that the inroads to guy-space are fragile. 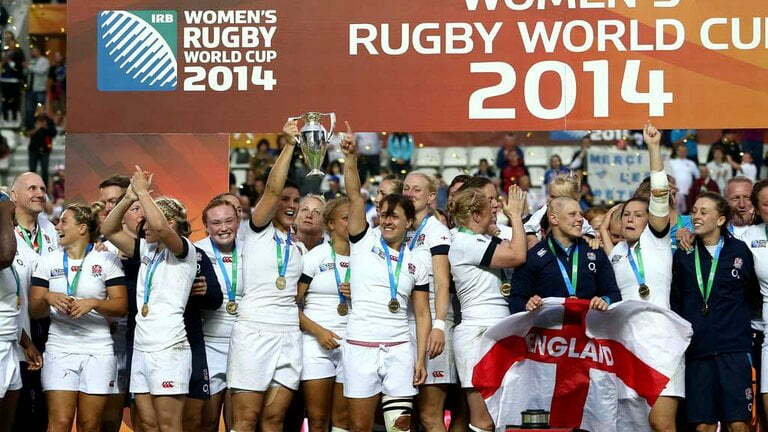 The weekend of 22/23 July was a pretty good couple of days for English women’s sport. The football team won its second group stage game in the UEFA Euro 2017 competition to guarantee a place in the quarter finals (it is widely thought they’ll go a lot further). British women had a high profile in the World ParaAthletics in London, and in the world of internal colonialism the simple fact that almost all these athletes (except the clearly Glaswegian Samantha Kinghorn, and the non-specific-global-accented Steff Reid) sound English is good enough. And to top it off, England won the Cricket World Cup, something the men have never been able to do, in a cracking game of tense play, big hitting and tight bowling to defeat India by 9 runs (for those outside the old British Empire, that’s a really close score). No doubt because it is the middle of a few non-playing weeks for men’s professional football the English newspapers are in the midst of their annual brief period of admission that there is other sport being played, so these events (alongside The Open) have had good coverage, including front page coverage of the cricket victory in The Times amongst others. These events and this coverage has, as is so often the case, been accompanied by the usual hyperbole of a sea-change in women’s sport – and for those who pay attention to their television sets, last week’s Channel 4 show ‘When Football Banned Women’ reminded us of just how far women had come and have had to go in those sports usually seen as men’s. So, it is thanks to the (English) Rugby Football Union for reminding those of us who treat sea-change hyperbole with caution just how fragile this shift in the status of women’s sport is. The day after this weekend of euphoria came the news that the RFU has decided to terminate all contracts with its 15-a-side squad (this is the team that won the World Cup in 2014 and was named team of the year at the BBC’s Sports Personality of the Year event in December 2014) in favour of promoting its 7-a-side squad, cutting its roster of professional women players from 28 to 17. When presented like that, what’s there to get annoyed about? There is a net loss of 9 players (let’s leave to one side for a moment that 9 players is one third of the squad). The RFU celebrates, quite properly, its success in promoting rugby union in England, with according to its 2015/16 Annual Report (the most recent) 2000 clubs, and the game played competitively in 1350 secondary schools, 110 colleges and 130 universities. It cites as its purpose “To grow rugby in England through our values and performance” and notes £89.9mill “invested” in the game at all levels, making a £8.7mill profit in 2016. This makes the RFU a major player in English sport and in English civil society as well as very many English communities. It also makes it hard to see how 9 professional players are a threat to the organisation. Even the most casual observer would note that the RFU has long had a problem with change. It is not just their defence of regional and class control of the game in the 1890s that saw a split leading to the development of rugby league. It can also be seen 100 years later when the organisation’s deep seated conservatism and failure to recognise the needs of players during the rapid changes towards the professionalization that saw the then Captain of the national men’s team Will Carling sacked for expressing the view of many, players included, that the RFU’s general committee were “57 old farts”, more politely but no less disparagingly known as ‘the blazer brigade’. But they’ve not had a problem with success, which makes this funding change, and job losses, all the more perplexing: the RFU has cut its world champion team from its roster. What’s more, since the 1990s the RFU has ‘modernised’ and is now run by a 12 person board including at least two independent (that is, non-rugby specific) members, one of whom is in the powerful position of chairing the audit committee (which is significant in new public management models of governance). That said, it is hard to see that this decision is about the old problem of change and conservatism – the RFU has already accepted the presence and support for women’s rugby. It’s widely played and widely supported within the English rugby world. Given the organisation’s 2016 financial statement, unless I’ve missed something profound, it is hard to see how 9 players are a financial threat; given the number of women playing the 15-a-side game it is hard to see how there is a sense of ‘market failure’ in terms of growth and participation. So, until there is more rummaging around among the decision makers by people with better access than me (which is non-existent) the reasons remain a mystery (my inner sceptic expects some financial justification, so commercial imperatives trump development goals). Yet still it matters. First it matters because in the wake of the 2014 World Cup victory, several players gave up their paid work for an RFU contract, the one that is likely to be cut just three years later: the RFU has a duty of care to these athletes to support them, after they made life changing decisions on the basis of its implied pledge of support. As is the case with most professional sports bodies, the RFU should do an awful lot more to ensure that its professionals have the basis for secure post-sport lives. If ever there was a case for unionisation and collective action by players’ associations, this decision is it. Second, it matters because of the impact on rugby development for women. The English women’s cricket victory matters because despite the yearning of we oldies, the status of one day cricket is now probably equal to its long-play (3 and 5 day) cousins, and its commercial impact is much more significant at all levels of the game. The English women’s rugby world cup victory matters for precisely the opposite reason: the 15-a-side game is indisputably the apotheosis of rugby. The 7-a-side game may be exciting, but there are few who would suggest that it is anywhere near challenging the 15-a-side version for dominance – culturally or commercially. This is the reason why the RFU’s funding decision is retrograde: it says very clearly and in no uncertain terms to its women players that they are second class. Despite being world champions, it says, we’re relegating you to the sideshow, to the touring circus that is spectacular but really is of minor cultural significance. 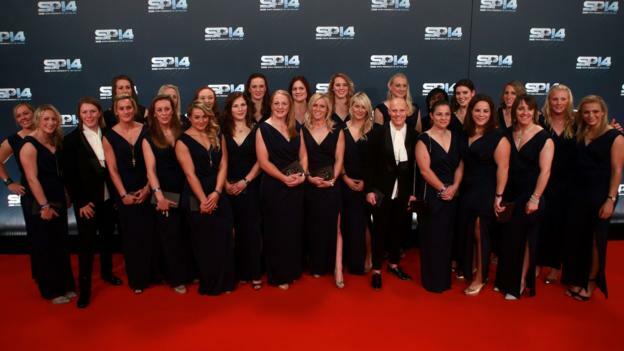 The RFU has said that it will have a new élite women’s team not by elevating the status of the 7-a-side team but by downgrading its commitment to the 15-a-side team. The new élite women’s team will play more often (that’s the nature of the international 7-a-side game) but is of lower status. It is a decision that says forcefully and bluntly to women rugby players that they are less significant, and in doing so reasserts rugby as a masculine-coded game. At this stage, we can only wonder at what this will mean for the development of the game, but it is hard to see it as anything positive. 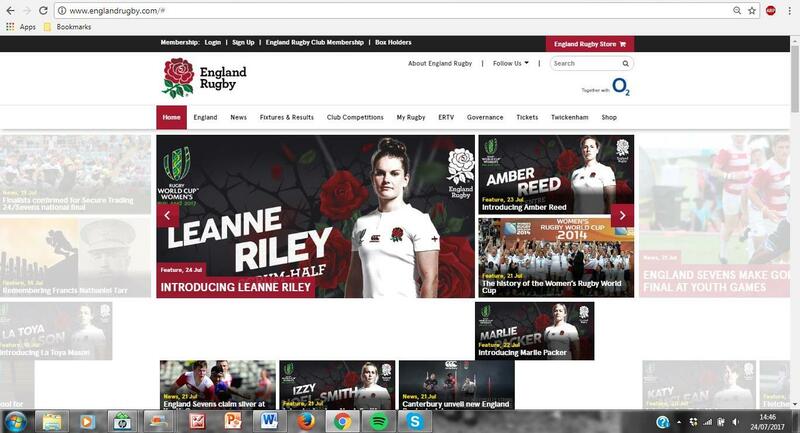 In the wake of this announcement and these cultural meanings it is hard not to be cynical about one of three rotating stories on RFU’s home page on 24 July being a celebration of women’s rugby. Those of us who watch women’s sport had good cause to be excited about the image and status of developments in England, and still do – but we should also be thankful that the RFU has reminded us not to get too complacent these developments. In many sports, women’s involvement rests on fragile foundations, subject to the whim of secretive funding bodies. So, thanks to the RFU for the reminder to not get too complacent, to remain vigilant and to dig in for what will continue to be a long battle. They are then ‘off loaded’ and presumably told that: ‘if you’re good ‘amateur professionals’ with the 10 Women’s Super Rugby clubs we may employ you again in 2 years’ for another 6N/WRWC campaign.